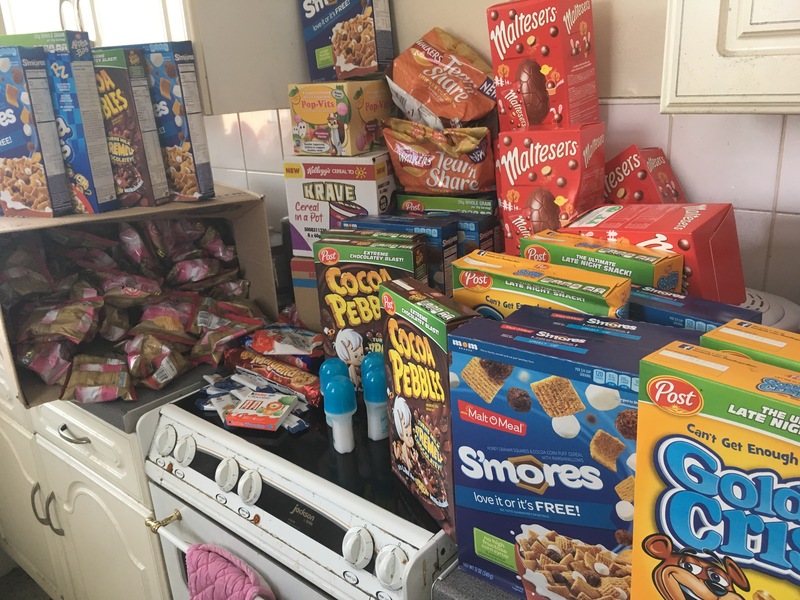 I’ve previously written about how we’ve slashed the cost of our weekly food shop by Frugal Family Meal Planning, using sites like Approved Food to stock up on staple cupboard items at rock bottom prices. This week we decided to try out another site that I’ve heard great things about, Clearance XL. 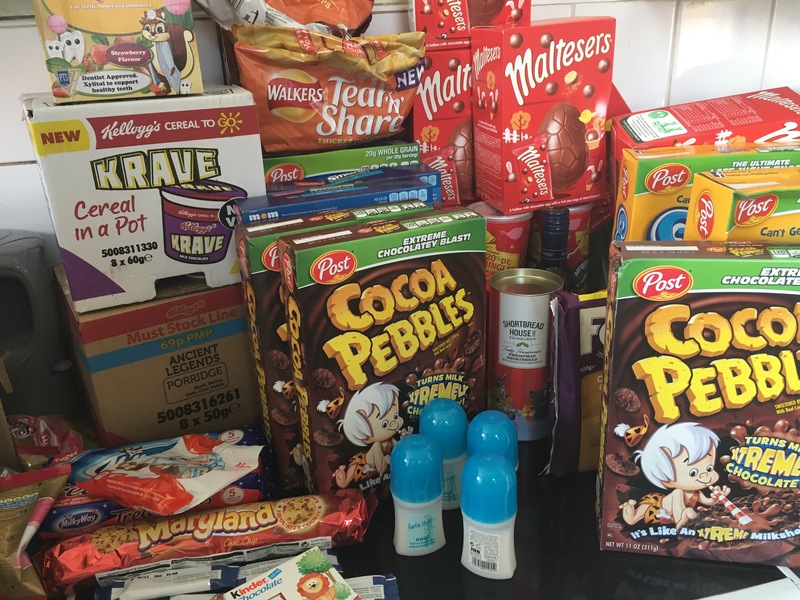 Just like Approved Food, Clearance XL sells items that are short-dated, past their ‘Best Before’ date – but still perfectly good to eat, or just excess stock or in seasonal packaging, at very low prices. The total retail value of our order should have been £188.32, but we paid just £36.12. That’s a huge saving of £152.20! Delivery cost us £5.25, so in total we paid £41.37. Delivery costs vary by zone on the site, but we are in Zone A – England and Wales, the costs for us are £5.25 for your first 30kg parcel, then £3.99 per 30kg parcel in the same order. It’s a Track and Trace service with a 1 hour delivery window, provided by DPD. They say themselves that delivery usually takes between 1-5 working days, but at our time of ordering they had a note on the site saying that they had an unprecedented increase in orders so delivery was taking a little longer. We ordered late on Tuesday 23rd May, and on Wednesday 31st May we got a text and email to say our order would be delivered the next day, Thursday 1st June. As there was a Bank Holiday in between, it took 6 working days to be delivered so even with their warned delay, it still only took an extra day on their usual timescale. The only negative I really have about our experience is the lack of communication from the site. From placing the order, we got an initial order confirmation, then a payment confirmation email, then nothing until the DPD email over a week later. I did email to ask for an approximate delivery date on Tuesday 30th May, but received no reply. I think an extra email in between with an update (i.e. ; to tell you your order was being packed/being prepared for dispatch/delayed etc.) like Approved Food do, would have been helpful, especially for those ordering for the first time so a little unsure. Having said that though, if delivery usually only takes 1-5 days, then additional emails probably aren’t usually necessary as dispatch is so fast, so I don’t think my experience is typical of their usual service. The website itself does take a bit of getting used to and I recommend using it on a tablet or laptop as it’s difficult to navigate on a mobile phone. But if you take the time to familiarise yourself with the layout and thoroughly search the site’s different categories then you should be able to find plenty of bargains. Some items don’t have pictures so you need to read descriptions carefully to make sure you’re not disappointed, but other than that, I generally found ordering a fairly straightforward experience. Our order arrived in one large box and was in good condition, the only casualty a broken Easter Egg, which the recipient wasn’t bothered about in the slightest as it lasted about 10 seconds before being eaten! The majority of the ‘best before’ dates on this particular order were April 2017, but everything we’ve tried so far is still perfectly good to eat, we haven’t noticed any difference in taste etc. For those unsure of past it’s ‘Best Before’ dated Food – Best Before dates are simply a recommendation of shelf-life, they have nothing to do with safety. No where is allowed to sell food that is past it’s ‘Use-By’ date, as this applies to food safety. The food sold by sites like Approved Food and Clearance XL may be past it’s Best Before date but it is not ‘Out of date’ food and is all still perfectly safe to eat, and for a good 99% of things, tastes exactly the same as when it was ‘in date’. Overall we’re very happy with our first Clearance XL and I’m sure we’ll be using the site again. If anyone has any questions about the service, please feel free to ask and I’ll try and answer as best I can. (This post contains no sponsored material, just my own experience). Can we feature this blog on our front page and share it with our visitors?